I am trying to compare black&white scans (for starters, only 3 of them) of identical size. I want to highlight the similarities and differences by displaying the first one in red, the second one in blue, the third one in green. 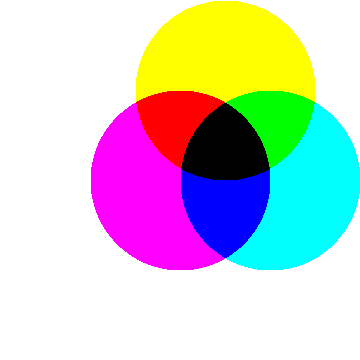 When black pixels overlap, the color change should reflect if the pixel is common among 1-2, 1-3, 2-3 or 1-2-3. Now I am happy with the colors, but I have a problem with the background (exterior of all circles) and the central overlap (intersection of the 3 circles): I would like the intersection to be black and the background to remain white. My secondary question is to scale the problem up. Is there an elegant way to do the same thing with N black&white images instead of 3 ? 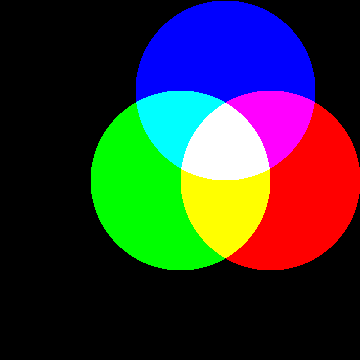 one would specify that the black parts of image number j should be mapped to some color c[j], the background should stay white, all overlaps should be some interpolation between the corresponding colors and black would only denote a full overlap (black pixel among all N images). All suggestions for that problem are welcome too. The question for N>=4 inputs is still open. 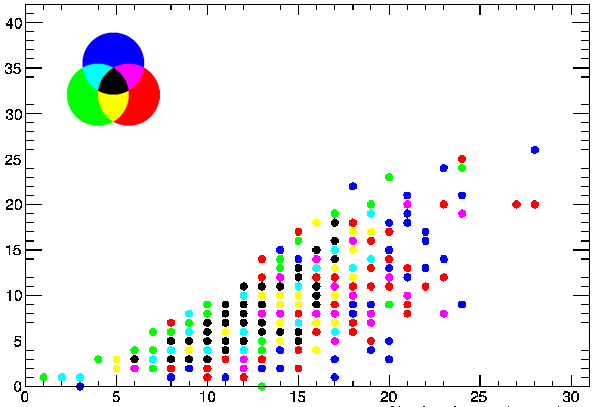 How to do color-fill in images in Mathematica? Create an image showing max intensities in a set of images? How to paste one image to another one, by forcing the former's background as transparent?